Reduce the cost and effort of mixed document scanning with new ToughFeed technology. Hardware image processing ensures accurate processing, document control and scanning quality. Auto cropping, auto binary/colour detection, auto blank page skip, auto brightness and scanning speed-up make operation efficient and straightforward. Software features such as AutoRescan and AutoPreview are available with the new scanners, allowing users to select the most suitable image for their needs in just one click. Ultrasonic sensors accurately detect double feeding, even when scanning documents of various thicknesses. When detected, the ultrasonic sensor prevents doublefeeding by immediately stopping the scanning process. Paper feed rollers separate from the paper each time a sheet is fed, so the tendency to doublefeed caused by the paper feed roller pressure is reduced, even when feeding paper of different thicknesses. 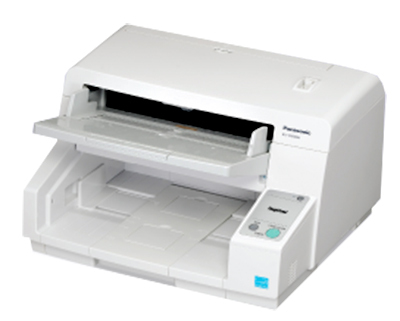 Panasonic offer a range of different warranties dependant on the scanner you are purchasing. To purchase a warranty please select from the available options in the drop down list above the 'Add to Cart' button. Click here to find out more about the available options.